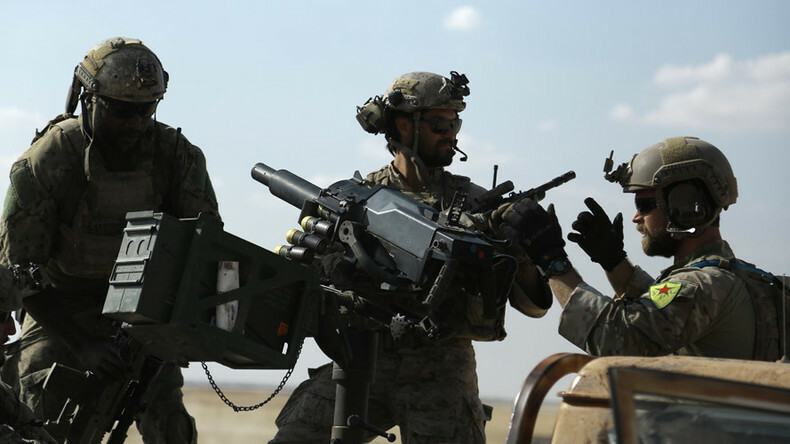 Photos of US special forces wearing the insignia of the Kurdish YPG militia while fighting ISIS in northern Syria have put the US in hot water with Turkey. The Pentagon denies American troops are engaged in combat, and has told them to lose the patches. Photos of US soldiers wearing Kurdish People’s Protection Units (YPG) insignia were taken on Wednesday by AFP journalist Delil Souleiman in the northern Syrian village of Fatisah. The area is roughly 30 miles (48 km) north of Raqqa, the “capital” of the self-proclaimed Islamic State (IS, formerly ISIS/ISIL). “It is not acceptable for US soldiers to wear YPG terrorist arm badges. This is double standards, two-faced,” Turkish Foreign Minister Mevlut Cavusoglu said Thursday, in response to the photographs. 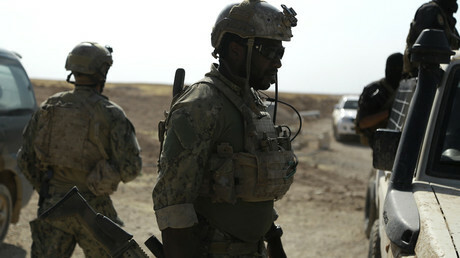 US Special Forces have a “long and proud history” of wearing such patches of their allies around the world, from Afghanistan to Latin America, in order to “connect with those they are training,” Warren explained, echoing Thursday’s comments by Pentagon spokesman Peter Cook. However, he explained that the practice has not been formally authorized by the military. “The patches were in fact not authorized. We’ve made the correction. Everybody’s moving on,” Warren said. He did not specify what manner of “corrective action” was involved. “We understand Turkey’s concerns, and we continue to discuss this and other concerns Turkey has regarding Daesh and issues in northern Syria,” State Department spokesman Mark Toner told reporters Friday, using another name for IS. While there may be disagreements among the US-led coalition as to how to proceed and who to cooperate with on the ground, the goal is “destroy and degrade Daesh and remove them from the battlefield,” Toner added. “We’re working with Syrian Arabs, Syrian Turkmen, and other groups that are fighting Daesh,” Toner said, adding the US regards the YPG “as an effective partner” and will continue to work with them as part of the SDF. When reporters asked why none of the US soldiers was photographed wearing an Arab patch, Warren tried to dodge the question. To his knowledge, US special operatives were not in combat anywhere in Syria. He rejected as “completely inaccurate” the reports of operatives in Fatisah firing TOW missiles at IS positions, based on claims of Kurdish fighters. While the US Special Forces are required to stay in areas “where enemy contact is unlikely,” Warren pointed out that CPO Charles Keating IV, the Navy SEAL killed in northern Iraq in early May, was three miles behind the lines when his convoy was attacked by IS.